If you’re just connecting with your internal team, you don’t need to go any further than the steps outlined in "Part 1: Getting Bria Teams Up and Running for Your Small Business." 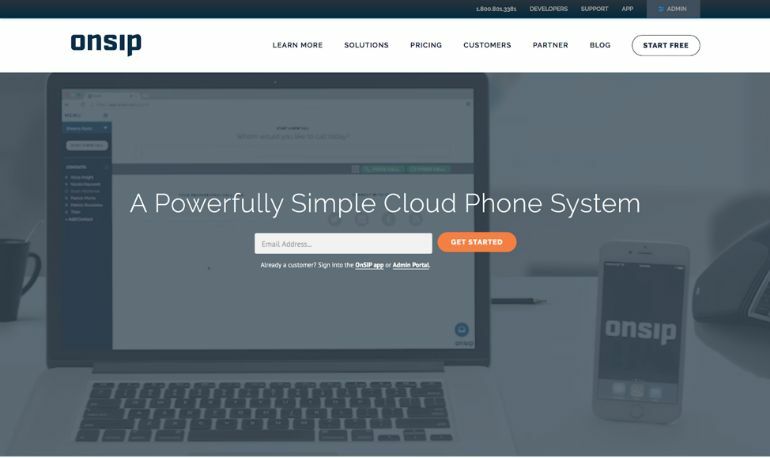 But if you’d like to make or receive phone calls from the outside world (or for some users, make calls within your company phone system), you’ll need to set up a SIP account. 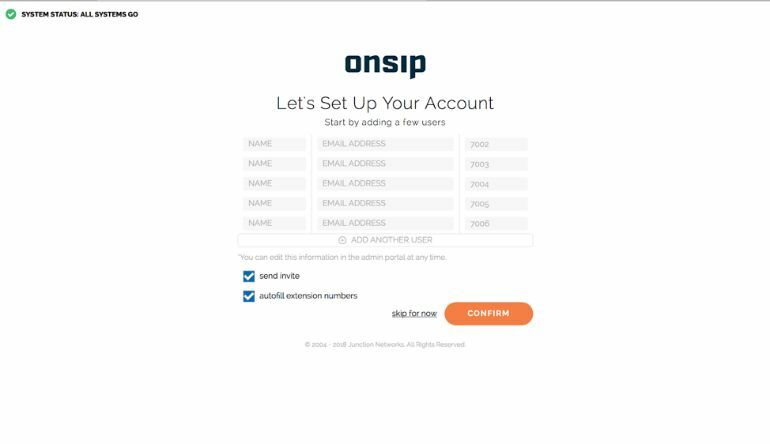 You may have credentials from your IT administrator if you already have a SIP service, but we’ll walk you through setting up a SIP account with OnSIP in case you don’t. Your mileage may vary - depending on your service provider. 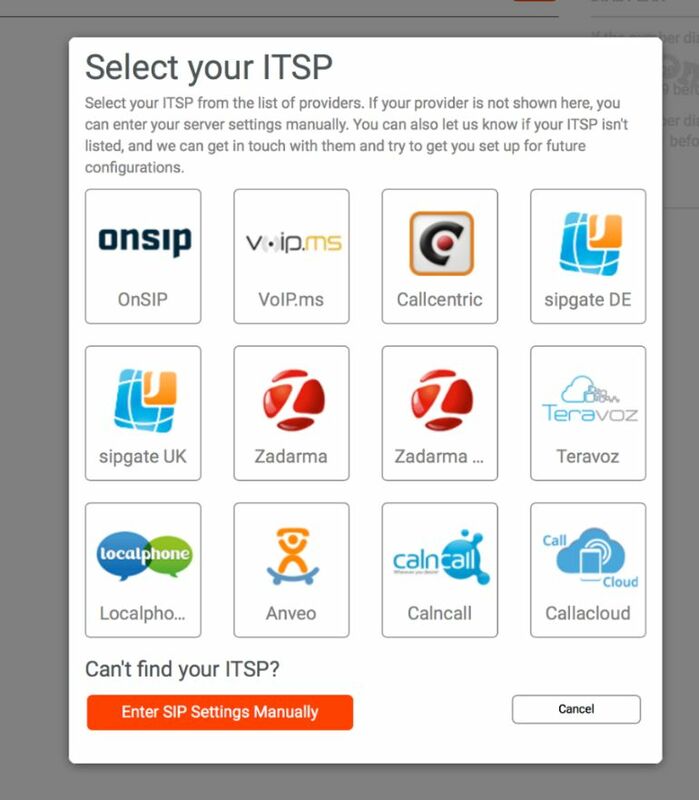 If you're using Sipgate, VoIP.ms or CallCentric as your SIP provider, check out our Integrations page for set up instructions. Enter your email and click ‘Get Started’. You’ll need to pick a team name (typically your company name) and enter your name and role. 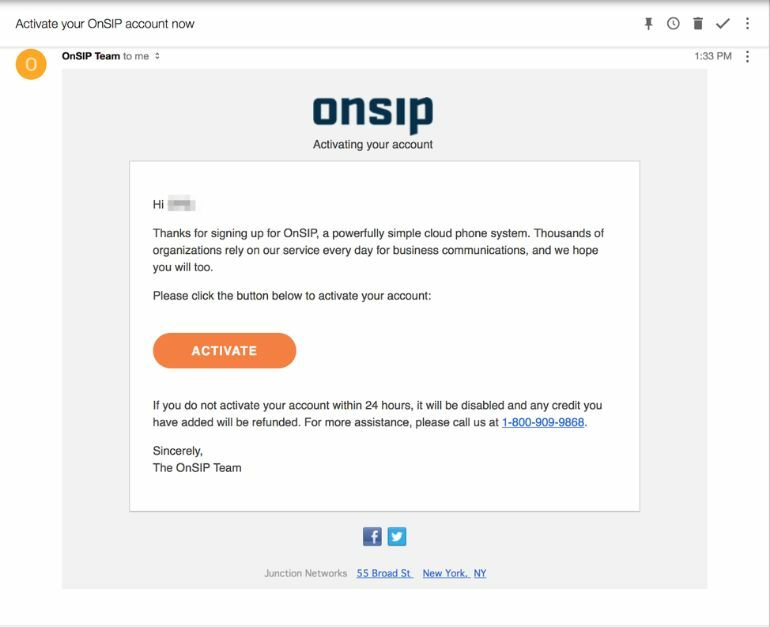 OnSIP will send you a verification email, and you’ll have to click ACTIVATE in that email to proceed. But don’t get distracted by all of those other emails, they can wait. If you’d like to add your team, you can enter their names and email addresses, that way they’ll all be invited to the OnSIP party. Or if you like to move fast - you can click ‘skip for now’ and keep it moving. You’ll need to review and accept the terms and conditions to proceed. 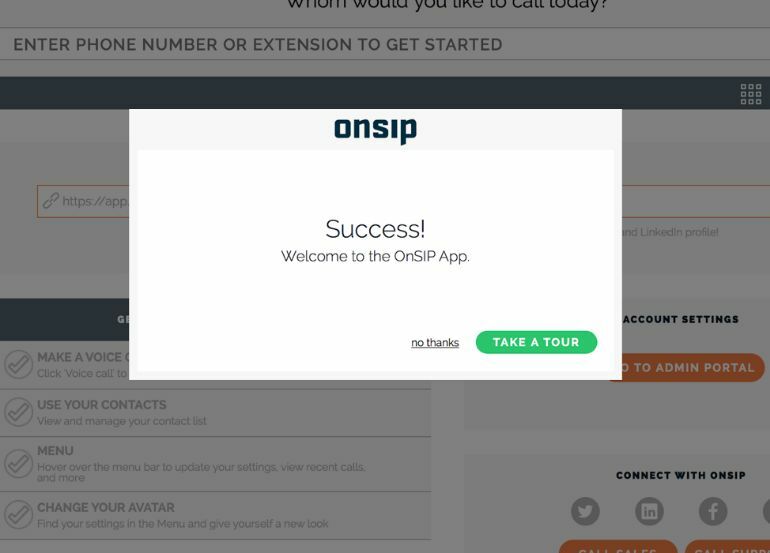 After you click ACCEPT, you’ll be prompted to take a tour of the OnSIP interface. It’s a handy way to get familiar with the features, but if you want to, you can select ‘no thanks’. The short list of tasks to get familiar with the interface will be waiting for you on the dashboard if you’d like to revisit it later. The next step is to visit the Admin Portal and sign up for the plan that suits your needs best. You’ll need to enter payment details and select a plan that allows external calling to finalize the process. You can come back to this later if you’d like to move to the next step of connecting OnSIP to Bria Teams. 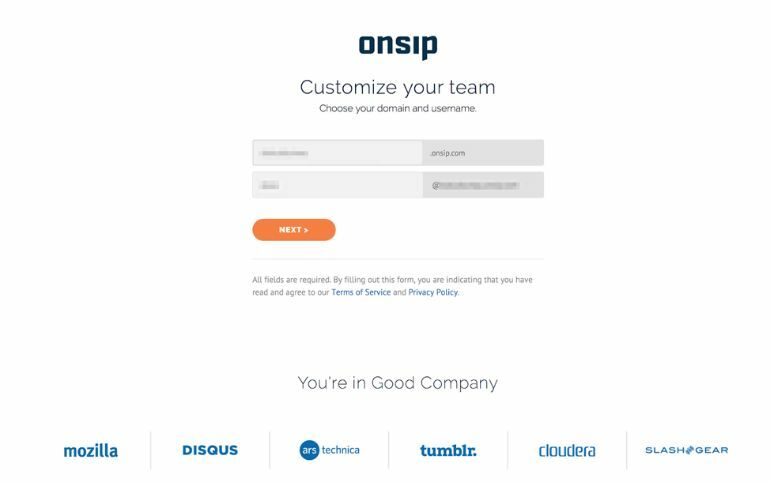 We have created a step-by-step guide on how to set up your communication suite with OnSIP. Follow this link for in-depth instructions. 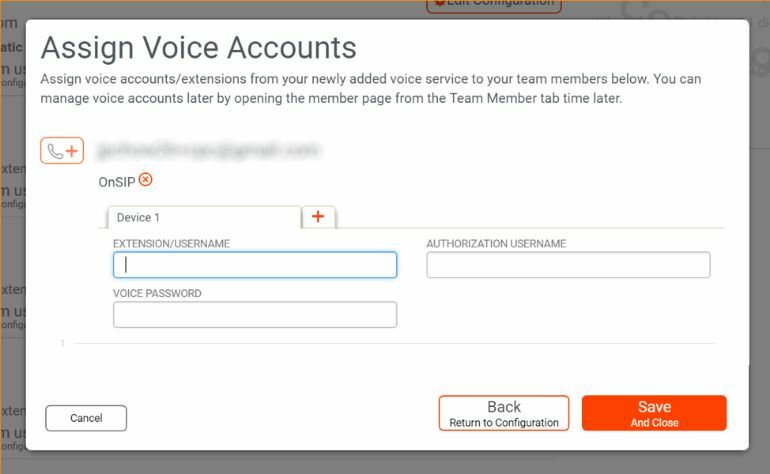 In the teams.softphone.com portal, click Voice and Video, and then select the icon to add Voice Configuration. Click “Select from providers” or you can enter settings manually. There are a few providers that will be super easy to setup, and OnSIP is one of those providers. Click OnSIP and all the settings are preset, except for the team name you selected (TeamAwesome in our case). You’ll need to enter that team name in the domain field, and then you can save your settings, or Assign Voice Accounts. The last step is to pick the team members you’d like to associate with this voice account. Click the phone+ icon. Each Bria Teams user should get an extension (or SIP account) that was created in OnSIP. That’s it! You’re now ready to use Bria Teams to collaborate internally, as well as make and receive calls. Do you have questions after reading these steps? Any tweaks you’d like to see us make? We’d love to hear from you. Next, you’ll need to ensure your team is motivated to make use of all the powerful features available in Bria Teams. How do you set up your team for success amidst this change? The most important first step is to start by communicating well. If you’re a team of two people, take some time to discuss why you’re implementing a softphone system, and what you expect to get out of it. Maybe you’re working remotely, and you’d like to have better insight into when your teammate is available. You’re looking for an easy way to ask quick question through the convenience of a messaging platform, but one without the distractions of Facebook or text messages. You want a tool that allows you to focus on your work tasks, without the distraction of friends and family. If you’re a team of 100 or more, you’ll need to draft some emails, update team meetings and plan to respond to questions. You should set clear goals, a project timeline and rollout date for the change. You should identify when there is training available, and listen for the concerns of your team. A phone is a phone - right? Yes, but there’s a little more to it than that. There are many incredible features of Bria Teams, and ensuring you’re using them well is important. Great communication can be challenging. We stumble on our words, we stutter, we get surprised by a question or a statement and need a moment to think. It can be challenging to find the right words to express your thoughts. If you’re also using a new tool, it can add to the complexity of communication. Spending some time to learning and practising with it sets you up for the best possible experience. You’ll feel more confident, and that will translate through to your communication style. Take the time to read through the instructions, or invest some time to practice with your team before you reach out to customers. Having internal meetings and calls is very important in order to practice before you pick up the phone with a customer. There are also many new features on Bria Teams, such as presence, video conferencing, and file transfers. Ensuring you spend some time getting familiar with these elements means you’ll take full advantage of them, and be able to use them correctly. No one likes rules, but everyone likes to know when they’re doing something the right way. Ever made coffee at the office and found out you did it the wrong way? After several people had a cup and complained? Spend some time and set clear expectations for your team on how you’d like to communicate and what your expectations are as a group. Most people find an unexpected video call abrupt. They may be in the middle of an important report, or an important bite of a delicious sandwich. If you’re going to talk face-to-face, it’s nice to have a moment to compose yourself. The polite way is to reach out through an instant message and ask if someone is available, then if they are, follow up with a video call. If someone is away from their desk, are they setting their presence notification to away? If not you may send them an instant message and be waiting for their response, wondering why they’re not getting back to you. Or if you’re in the middle of a delicious sandwich, and you can’t be disturbed, set your presence to ‘busy’ so you can focus on that important task in front of you, and follow up when you’re done. You may have expectations as a group that you can set your presence to busy, but you need to check in every hour to see if there are urgent messages. Setting your status to busy and ignoring your email and messages for the afternoon may not be acceptable to your team, or the needs of the company, and sketching out some guidelines ahead of time can save you frustration down the road. Reach out with an instant message before you reach out for a call or video chat with a colleague. What are you going to measure and how? One of the benefits of Bria Teams is analytics and logs. You may have other goals you’d like to measure as part of rolling out a new tool set. Do people have more conversations amongst the team? Is the mood better, are people solving problems and finding answers faster? 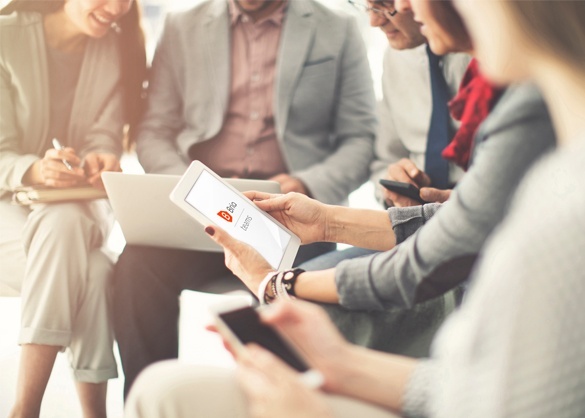 You may want to set up weekly polls or questions in team gatherings to measure how the improved communication tools are helping your team work better and faster. Setting these goals out early and measuring them regularly will ensure you have the data to reflect on, and assess what you need to work on next. Any change will require an adjustment period. The best plans will need to be modified as humans start to work with new technology. You may need additional training. You may need to set new expectations, or modify the ones you have in place. Identify a clear channel for feedback and remind people regularly about this channel. Is there a key contact to speak to? Is there an email address or a phone number to reach out to? Ideally a person, who you can have a face-to-face conversation with (or video chat) is ideal. Where possible, this should be one person or a group that works together. You’ll start to hear common concerns, or be able to identify problems that help you work on solutions that make the entire experience better. You’ll probably get some good feedback from your team. It may be frustrated feedback, it may be high fives. Pick a rhythm to make changes and try things out. If you respond to changes too slowly, your team will get frustrated. However, if you’re continually tweaking and changing the setup, it will be hard for your team to get used to the new system. Picking a regular rhythm to roll out change - either every morning (with notes to tell your team what’s new) or every week, depending on the cadence of your team. It will help your team see changes occur, and feel like their feedback is being addressed. Measure outcomes and goals, and identify whether you’ve hit them yet or not. If you were able to set some measurable targets at the beginning, monitor those numbers and see if you’re hitting your targets. It may take a while to get there, but when you do, take time to celebrate the change. Sometimes it is hard to know when we’re successful when working within a team. Taking the time to call out the success, thanking your collaborators, and thanking your entire team for their patience and great attitude during a change will help everyone. This is especially helpful for management to understand the success you’ve achieved.